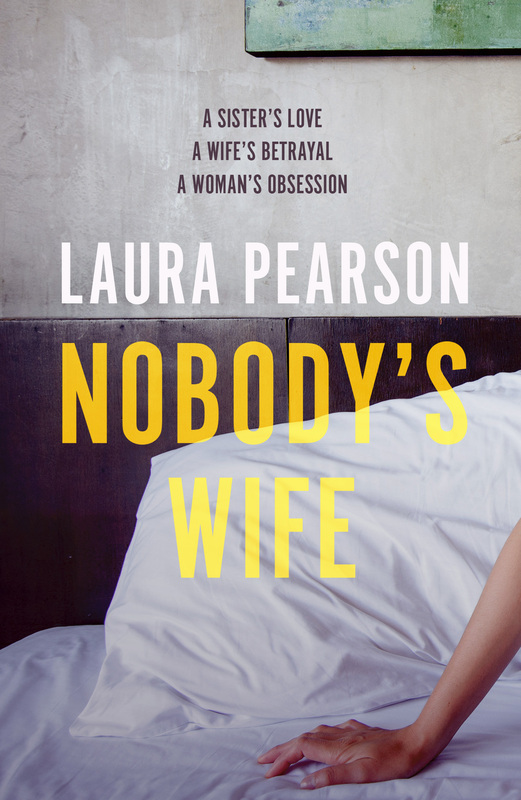 ‘Nobody’s Wife’ is the latest book by Laura Pearson. Emily and Josephine have always shared everything. They’re sisters, flatmates, and best friends. It’s the two of them against the world. When Emily has the perfect wedding, and Josephine finds the perfect man, they know things will change forever. But nothing can prepare them for what, or who, one of them is willing to give up for love. Four people. Three couples. Two sisters. One unforgivable betrayal. At only 244 pages, this book is quite short and can easily be consumed in one sitting which is what I did. The story is seen through the perspective of the four main characters, after Michael and Emily get married. Michael is delighted to call Emily his wife, he’s besotted with her but for Emily, she feels that something is missing and when Josephine introduces her new boyfriend Jack to her sister and her husband, Emily finally figures out what is missing from her life. As much as they try to fight it, both Emily and Jack are drawn to each other and even though they are torn at the pain that they are causing their partners, they are unable to stay away. This book is quite the moral dilemma, obviously we all want people to have their happy ever afters but when it’s at the expense of others, then things more complicated and lines become blurred. Surprisingly, I found myself sympathising with all the characters, as they all battled with emotions and drama, but it was really Emily that I was drawn to, because she was not only hurting her sister, but also her best friend. The one person that she had become to rely on whilst growing up when their family fell apart and scenes between the pair of them made for emotional reading at times. Wonderfully crafted and an observant insight into complexities of life and relationships, ‘Nobody’s Wife’ is a frank and honest recollection about love, obsession and betrayal. You can buy ‘Nobody’s Wife’ from Amazon and is available to buy from good bookshops. 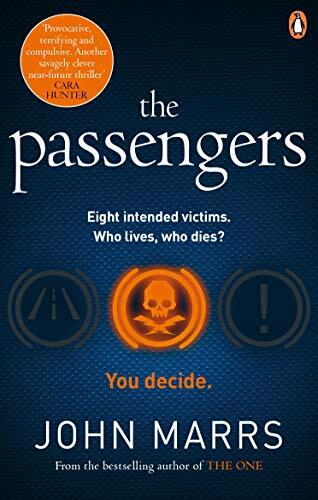 ‘The Passengers’ is the latest book by John Marrs and having read his previous novel ‘The One’ and absolutely devoured it which is now being adapted for Netflix. I was delighted to receive a copy of his newest offering. When someone hacks into the systems of eight self-drive cars, their passengers are set on a fatal collision course. The passengers are: a TV star, a pregnant young woman, a disabled war hero, an abused wife fleeing her husband, an illegal immigrant, a husband and wife – and parents of two – who are travelling in separate vehicles and a suicidal man. Now the public have to judge who should survive but are the passengers all that they first seem? The story is set in a time where people drive autonomous cars and one day 8 people’s cars are hacked and it’s the job of the jury and the public to decide who will survive as all the cars are driving forwards each other, about to collide. The members of the jury have the impossible task of trying to safe lives, whilst the hacker is always one step ahead. They all have strong personalities as well as beliefs and morals, particularly Libby, a strong willed woman who totally opposes autonomous cars and becomes an unlikely voice of the nation. As the jury members battle to choose who will survive, it is Libby who challenges not only the jury but also the hacker. I read this book in two sittings, it’s cleverly written that made for fast paced reading. The characters are all interesting and complex that really do, make the reader battle with their conscience and their morals as they try to decide who should survive. But, as the story progresses, secrets and scandals are revealed. Addictive from the fast page, John has written an incredibly original, thrilling and gripping story. Set in a time where anything is possible, ‘The Passengers’ is a compulsive and terrifying story that will keep you awake into the early hours. You can buy ‘The Passengers’ from Amazon and will be available to buy from good bookshops from May 30th 2019. ‘Dark Blossom’ is Neel Mullick’s debut novel. EO Barista Sam returns home from a business trip a day before his son’s thirteenth birthday and is looking forward to being with his family, when his world is cruelly shattered in one fell swoop. Initially he thinks he can cope with the loss, but finally seeks the help of Cynthia, an experienced therapist, to regain his equipoise. What he does not know is that Cynthia herself is trying to cope with a debilitating divorce and the sinister shadow of her ex-husband over her daughter… What happens when doctor and patient find themselves in the same sinking boat? Moreover, when they are rowing in opposite directions–one clinging to the past, and the other unable to get rid of it! In the midst of it all is Lily, Cynthia’s daughter, who harbours a secret that has the power to explode the lives around her. ‘Dark Blossom’ is dark a claustrophobic story of love and loss. When Sam loses both his wife and son in a tragic accident, he comes to Cynthia who is a therapist and hopes that she will help numb the pain. He’s heartbroken and angry at the sudden loss and has realised that he needs help with the pain. Whilst Cynthia is also on her own journey, having left an abusive relationship, her daughter Lily hates her for not getting out earlier and takes her teenage angst out on Cynthia. As Cynthia helps Sam deal with his own demons and loss, she begins to look at her own life and the problems that have happened along the way and what she has avoided for a quieter life. As the story progresses, we see their relationship turn from professional into a more tender friendship as the pair of them embark help each other through the dark times. 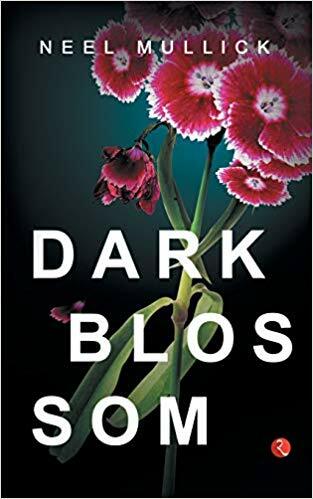 An intelligent and observational story of life and relationships, ‘Dark Blossom’ is an engaging, psychological romantic thriller. You can buy ‘Dark Blossom’ by Amazon and is available to buy from good bookshops. ‘Keep Her Close’ is the latest book by MJ Ford. 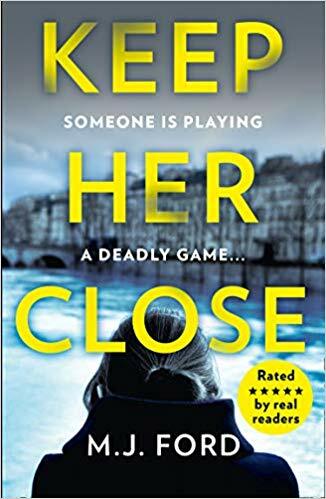 ‘Keep Her Close’ is MJ Ford’s second book and it’s an exciting thriller that really pulls the reader in. The story is seen solely from the perspective of DS Josie Masters, as she is still reeling from the death of her police partner and the case that put her own life in jeopardy. 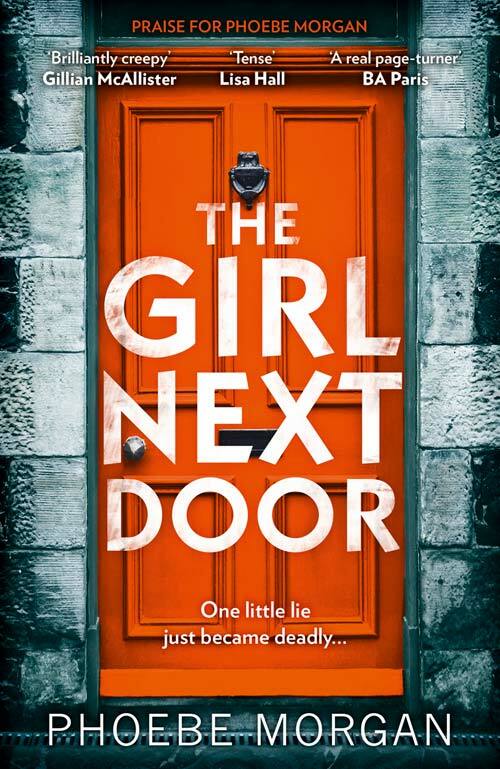 Now in her latest case, it’s a race against time as young girls go missing and a body turns up and Josie is led on a while goose chase trying to catch the kidnapper before even more girls are taken. I really enjoyed this story and found myself settling into it from the very first page. The story is the second book in the series about DS Josie Masters and it flows seamlessly from one book to the next, making it easy for reader to understand the background of Josie’s situations. That’s a bit of a bugbear of mine when you read a book in a series and there’s no background information to the characters or the situation and you’re lost, whereas MJ Ford gives just enough detail for the reader to be informed of Josie’s history. I really like MJ’s writing, it’s fast paced, edgy and weaved with suspense, as Josie and her partners race against time to solve crimes before more are committed. Each moment that Josie is close to finding the girls, another problem is out in place for her to overcome. I really like Josie, she’s a strong willed and determined woman that won’t let others stand in her way, particularly her male colleagues. Cleverly written and riddled with tension throughout, ‘Keep Her Close’ is a suspenseful tale of twists and turns that will grip the reader throughout. You can buy ‘Keep Her Close’ from Amazon and is available to buy from good bookshops.